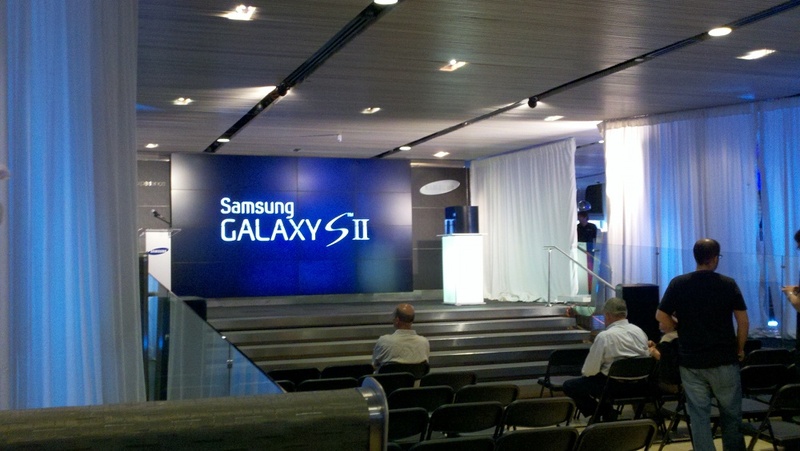 There won’t be any Verizon goodness to view at this Samsung Galaxy S II U.S. launch event, but we can still all join in the party and cheer on Android in general. And who knows, we could see something bigger on Big Red in just a few weeks if any of the rumors of the past few days are to be believed. Update: They will start in 5 minutes. Our boy Dan is on the scene. Update 2: A press release introducing all three devices can be found here. Update 3: Don’t forget to check out our review of the unlocked Galaxy S II here. Update 4: Dan is on his way to get some hands on time. Continued coverage over at Android Life.